Diplomatic series. 73 = Norway. 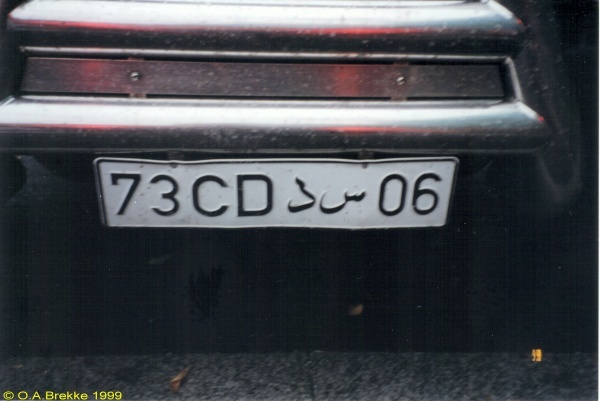 CD (both in Western and Arabic script) = Corps Diplomatique. Diplomatic series. 73 = Norway. 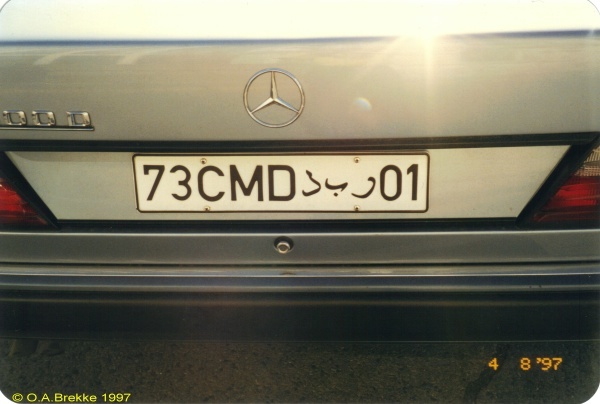 CMD (both in Western and Arabic script) = Chef de Mission Diplomatique (Ambassador). Foreign residents series 1965-2002. 1965-96 plate style. 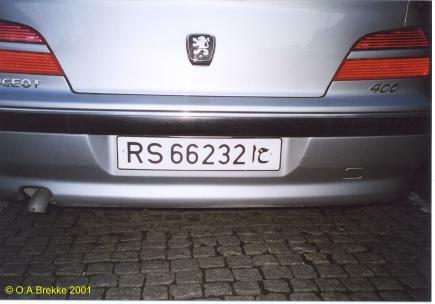 RS = Regime Special. To the right is the Arabic equivalent of RS.